As the Jackson Hole fallout takes shape, it’s clear the Federal Reserve Board was attempting some measure of damage control to repair their failing report card. The Federal Reserve Board’s credibility comes under the light time and time again, whether it’s from their constant misdirections or from their divisive policy debates that rage on in the public domain. After a week of guessing, Dr. Yellen left little to the imagination when she stated that the case of a Fed rate hike had strengthened, but remain very much data dependent. 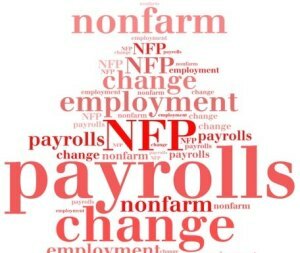 Given the proximity of the granddaddy of all Fed data, the Non-Farm Payroll( NFP), it is without question that this week’s print will take on more importance than usual. While there’s never a shortage of hyperbole leading up to NFP, this week’s highly anticipated event may be a chart topper in that regard. After all, was said and done, we are still left pondering the most fundamental question, when will the Fed lift off. As it stands, the market is still in a monetary no man’s land, putting us back to a coin flip leading up to this week’s US payrolls data. The USD is a touch higher in early trade on limited follow through from Friday’s NY close. Will there be a September rate hike? With Traders positioned for a December lift off, the repricing of a September probability will now take center stage. However, whether Fed Fischer’s comments are simply another in a long list of Fed editorials, or are conveying the FOMC’s intentions, lies another debate. Nonetheless, the odds of September rate hike will increase, and commodity and EM currencies will probably feel the brunt of that discussion. The market closed Friday with a September hike now at 42% probability and a December 2016 hike 65% chance up from 32% and 57% the day before. When the dust settled on Jackson Hole, the Australian Dollar was one of the casualties. While Friday’s Non-Farm Payroll outcome could ignite the next significant USD dollar trend, local traders will have a busy economic diary to wade through, including Building Permits, Retail Sales and CapEx numbers which could influence RBA policy bets and add another layer of intrigue to the shifting divergent interest rate policy debate. The Chase for Yield may go on the near-term back burner. I suspect Hard Commodities, Oil and China will come back into focus and there is an eerie calm in the RMB complex that has investors on edge leading up to this week’s chain PMI readings. At the end of the day, post–Jackson Hole, the RBA is possibly applauding a weaker AUD, especially given that the their domestic monetary policy action has been ineffective at curbing the currency’s strength. The Bank of Japan’s (BOJ) Governor Kuroda likely has a broad smile on his face with Yellen and Company preparing to do the “heavy lifting”, nudging US interest rates higher. With USDJPY trading topside of the current near-term range, will Kuroda dig in heels and forward guide markets to a Bazooka at the Sept 21 BOJ? He certainly wasted little time turning up the rhetoric at Jackson Hole stating the BOJ had “ample space for additional easing.” Despite this rhetoric, Kuroda will need to contend with the growing number of Bank of Japan officials who are gravely concerned at the underlying ineffectiveness of this massive policy spend, so far. The BOJ’s policy is not without outside detractors: Japan’s FSA has warned the BOJ of risks to the local banking sector from lower interest rates. Also, Fed Kaplan told Bloomberg TV that “the Jury is out” on the effectiveness of NIRP in Japan. He suggested that it might buy them time, but was no substitute for structural reforms. So far, the BOJ’s three arrows have badly missed their mark, leaving traders highly doubtful the BOJ can right the ship. Whatever the BOJ decides, it will probably have limited ‘Shock and Awe’ effect and will probably be as useful as a carrot less stick in guiding markets. Tracking the underlying USD movement, over the weekend, the Yuan all but fell shy of testing the 6.70 level, which is purported to be the PBOC’s near-term line in the sand. Another primary concern is the fear of a liquidity squeeze after the PBOC resumes its 14-day reverse repo operations. I suspect this is a bit overblown and after the initial negative fallout, the Money Markets will quickly normalize. China’s latest PMI data will be closely watched, following a weak start to Q3. Last month’s data indicated that factories continue to struggle as global demand stumbles. Expect some near-term adjustments on the back of the Fed Repricing, but to what degree the markets have moved off an inclination to sell USD on rallies, plus given the USDAsia’s high correlation to the JPY of late, it may be best to follow the market tack. EM Asia’s positions were trimmed leading up to Jackson Hole, and their propensity to re-engage short term will probably depend on the outcome of this week’s NFP data. After a week of yo-yo-ing on OPEC chatter and geopolitical concerns and with the jury still out on an OPEC production freeze, the near-term fundamentals along with supply concerns will dominate price action on oil this week. A shifting landscape on the pricing is due to the bigger picture of an OPEC production freeze. If an agreement is struck, it will be near-term positive for Oil prices; however, surging oil prices will pose issues once US shale oil rigs come back online. Regardless, the Baker Hughes rig count data will remain a significant price catalyst. Presently, the rig count stands at 406, down from 647 a year ago, which should indicate room for production.